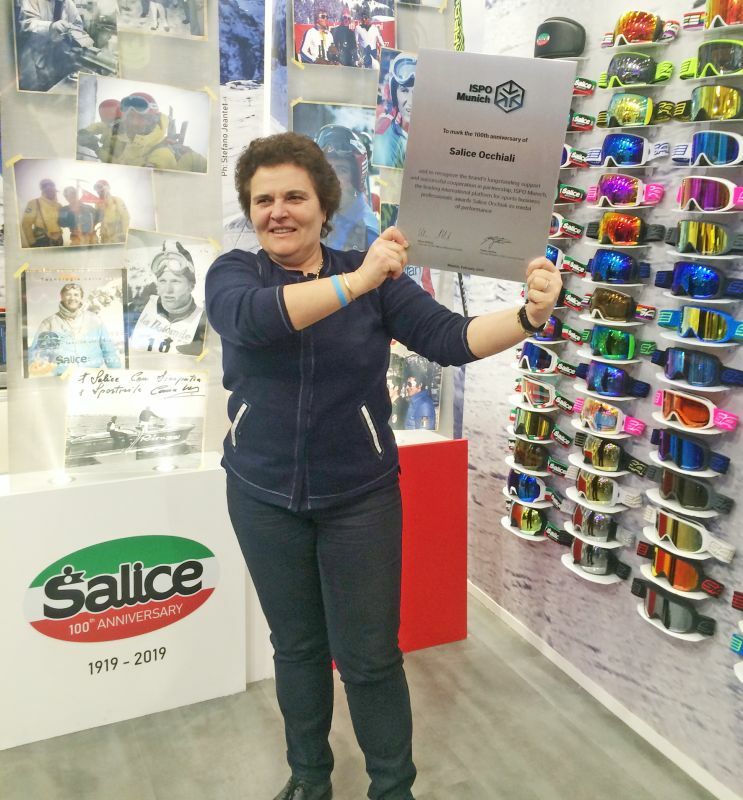 Even ISPO wanted to celebrate the 100 years of Salice Occhiali. This morning, in fact, the trade show Community Manager, Bastian Dietz, was at our stand to deliver a plaque awarded to Salice Occhiali to celebrate its prestigious anniversary. For our company it is a nice recognition from the most important international trade show in the sports sector. Salice has been participating to the ISPO trade show in Munich for over fifty years. Salice ISPO stand showcased beautiful images of the company history along with new products of next season: Salice goggles 100 and 101, and the Eagle Cortina helmet.